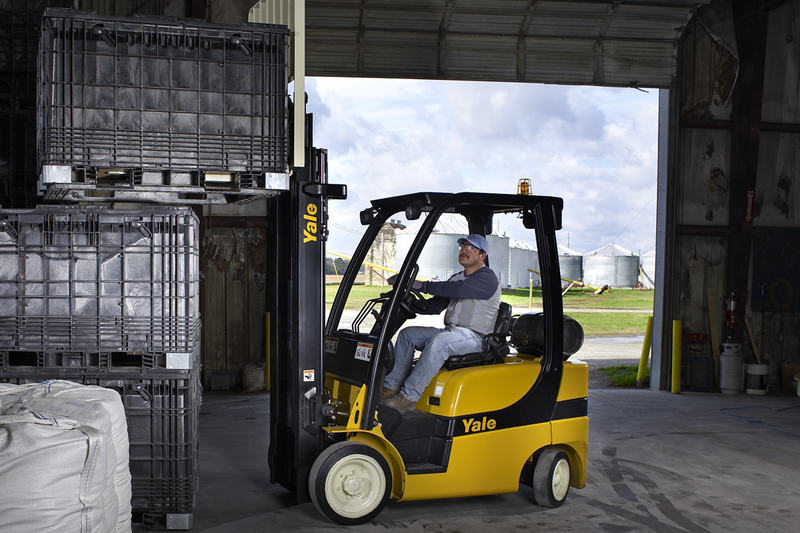 The Yale range of internal combustion cushion tire forklift trucks are feature rich and have been developed specifically for high lift applications in confined areas. They deliver high levels of productivity, operator ergonomics and dependability. Operator comfort is enhanced by the increased foot space in the well-designed operator’s compartment. The isolated powertrain reduces noise and vibration minimizing operator fatigue and increasing operator productivity throughout a shift. Excellent operator visibility is afforded through the Yale Global Hi-Vis™ mast.